This is a very large 37mm. 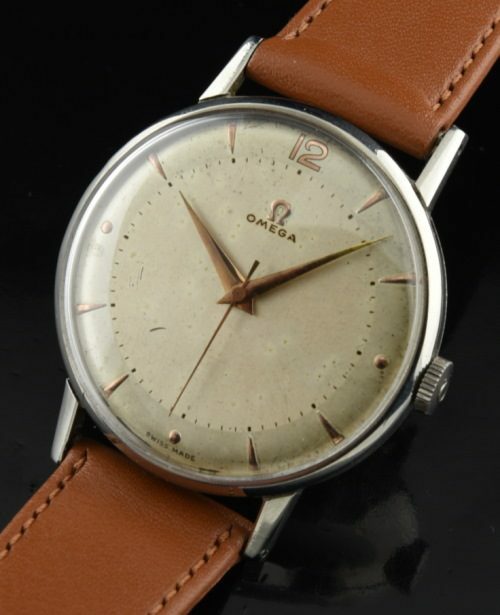 OVERSIZED OMEGA in steel dating to 1950 having am all dial appearance. The OMEGA crown is signed and correct. The two-tone dial with Dauphine hands and raised gold toned arrow markers and Arabic, reflective # 12 is all ORIGINAL. In person, this dial looks much cleaner. 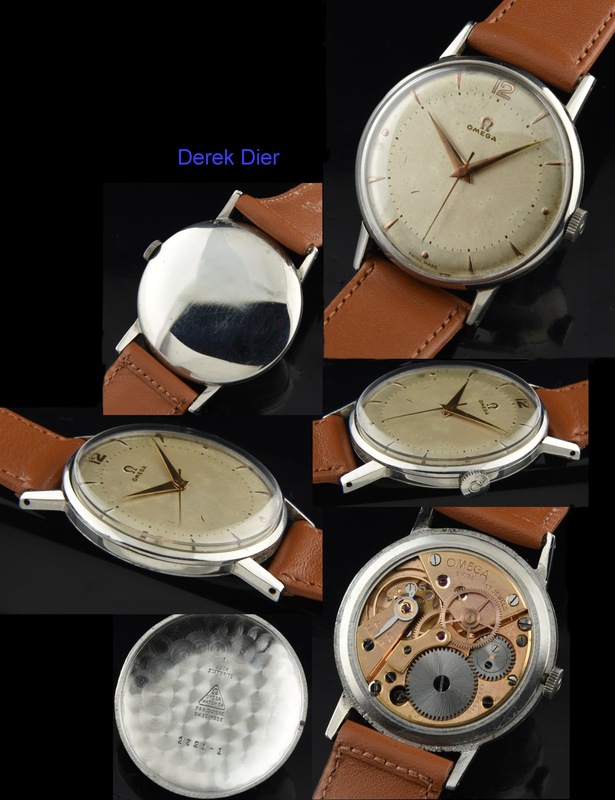 The caliber 283 manual winding movement is renowned for its very fine mechanics. This watch was recently cleaned and is accurate. You will love how this watch provides much wrist coverage.